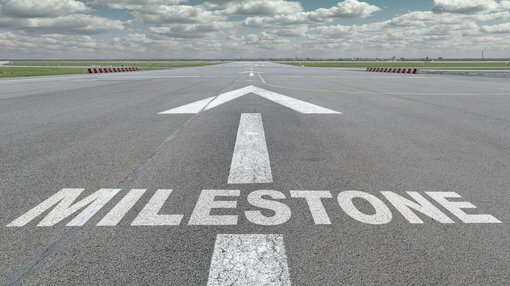 In what has been described as a milestone development by Melbana Energy Ltd (ASX:MAY) CEO Robert Zammit, the contractual commencement of a six month “option period” with two major global oil and gas groups has been triggered. Total SA (EPA:FP) and Santos (ASX:STO) each have an option, exercisable together or individually, to acquire a direct 80% participating interest in the permitting and drilling of an exploration well, which is planned to be the Beehive-1 exploration well. To put the importance of this into perspective, Beehive is the largest undrilled hydrocarbon prospect in Australia. This comes on the back of the acquisition of a recently acquired 3D Seismic Survey consisting of approximately 700 square kilometres of seismic data over the Beehive Prospect and Egret lead in the Joseph Bonaparte Gulf, 225 kilometres south-west of Darwin. Processing of data captured during August 2018 has been received from the processing contractor, quality checked and accepted as the Final Data Set by Total, Santos and Melbana. From a contractual perspective, the acceptance of the processed survey data as the Final Data Set has triggered the contractual commencement of the aforementioned six month “option period”. If the option is exercised, Melbana will be fully carried on all costs incurred from the time the option is exercised until 90 days after the rig is released after drilling this well. On this note, Beehive has been assessed by Independent Expert McDaniel & Associates to contain a best estimate prospective resource of 388 million barrels of oil equivalent (Melbana’s share 78 million barrels of oil equivalent). 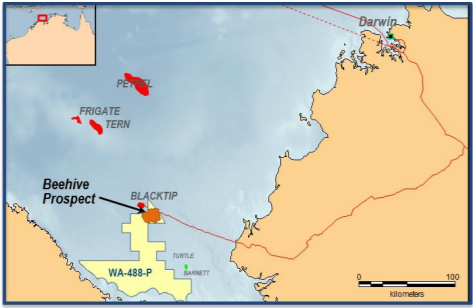 Commenting on this development, Zammit said, “The triggering of the contractual six month option period is a milestone in Melbana’s commercial arrangement with Total and Santos for Beehive, which is the largest undrilled hydrocarbon prospect in Australia. Melbana will have no re-payment obligations for such carried funding in the event there is no commercial discovery and development in Beehive. The collaborative venture will be breaking new ground as this play type is new and undrilled in the Bonaparte Basin with no wells having been drilled to the anticipated depth in the basin. The Beehive prospect is located in 40 metres of water, suitable for a jack up rig, within approximately 75 kilometres of shore and able to be developed by either FPSO (floating production storage and offloading vessel) or pipeline to existing infrastructure. Regards the latter, Beehive is located close to several existing facilities including Ichthys project and Blacktip field and pipeline offering several options for future gas monetisation. Shares in Melbana have traded strongly since December, increasing 50% from 1.2 cents to 1.8 cents in March. They continue to trade close to that high, but today’s news could see them push through the previous six-month high of 1.8 cents as this was much anticipated news.